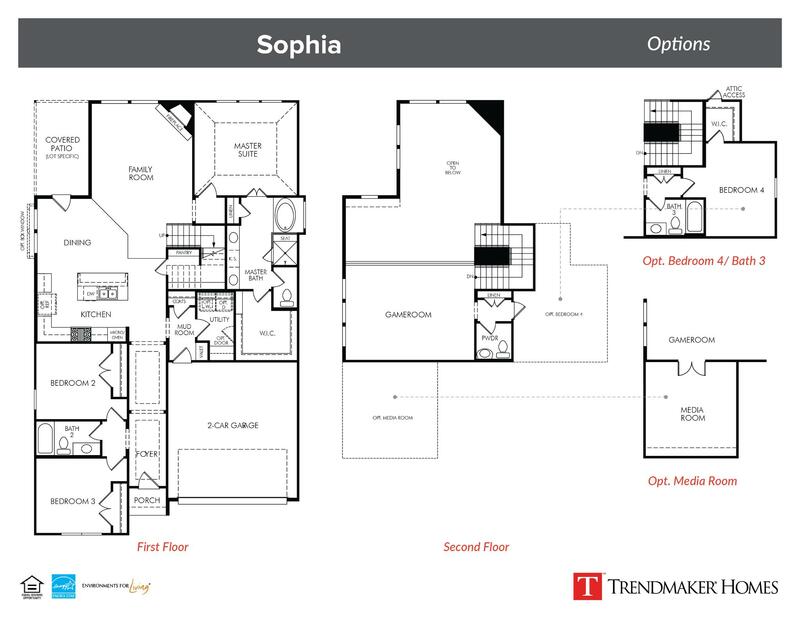 The Sophia is a captivating two-story plan that provides the perfect blank slate to set your story. The luxury kitchen includes a center island with additional seating, stainless steel appliances, dining area and plenty of counter space making it the perfect spot to host dinner parties. Continue the dinner party into the cozy family room or relax with family by the corner fireplace. A secluded master suite includes a spa-like master bath with split vanities, separate tub and shower and large walk-in closet. The home is complete with a private gameroom and powder bathroom upstairs.